I'm a big believer in giving your AV setup a Spring clean. Untangling cables, repositioning speakers that have been shunted about and putting Blu-ray discs back in their correct cases can help bring a sense of calm to a fraught AV mind. I'm also a big believer that the best time to do this may not necessarily be Spring. Rather, it's when you have motivation and spare time. These are two things often in short supply, so when you have them, don't dawdle, even if it means getting busy with your gear in the middle of Winter. My recent Spring clean was a bit of an accident, actually. It started because I decided to connect my Sky PVR and my BT Hub via Ethernet, and then mushroomed from there. They had been working fine via Wi-Fi for over two years, the two boxes happily talking to each other, but had recently begun falling out. And having to re-enter your Wi-Fi password every time you want to access BBC iPlayer is not cool. Now, while establishing the Ethernet hookup I decided to re-site the Hub. And while doing that I decided to re-run my ADSL cable. And remove the Wi-Fi dongle from the back of the Sky box. And untie my mass of mains cables. Basically, before you knew it I was knee-deep in AV, re-naming HDMI inputs, tying up metres of spare wiring, clearing my Sky planner of unwatched recordings and even giving my Blu-ray deck a dusting. It took a few hours, but I immediately felt happier. The happiness lasted only a few minutes, though. Soon I was looking at the back of my AV receiver and wondering what the hell was going on. Namely, in this day and age, why is it necessary to have so many physical connections to all my other kit? You can now buy a car that parks by itself, but you can't get a Freesat box that can wirelessly stream to a TV less than 60cm away. That's 21st Century madness. Everywhere else I look, I'm confronted by a wireless world. I've been auditioning Yamaha's MusicCast ecosystem, where speakers receive and transmit and play multiroom footsie with nothing more than a power lead in sight. Yet look at the rear panel of an AVR and you'll struggle to see the power lead amidst the HDMI and speaker wire spaghetti. (And, with today's 7.1 and above setups, you now need fingers thinner than a stick insect's to connect all your cables). My colleague Barry Fox wrote recently about Keyssa, a new connectivity standard that promises to cut the cord by offering NFC-style tap-and-zap tech that can accommodate HD quantities of data. It's all very intriguing, but still seems a way off. 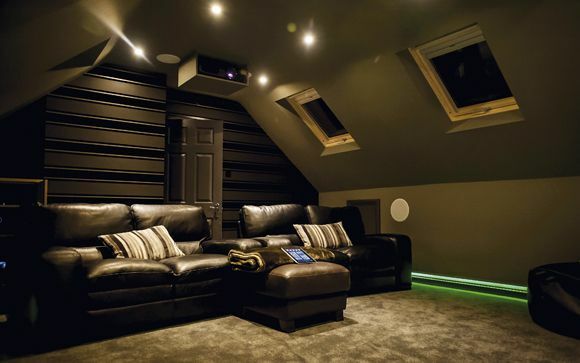 Nine things that make you a home cinema hero! Digital Copy: Are budget all-in-one systems dead?